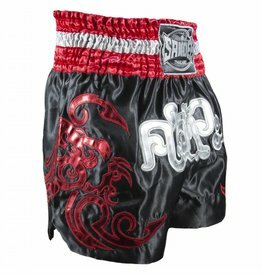 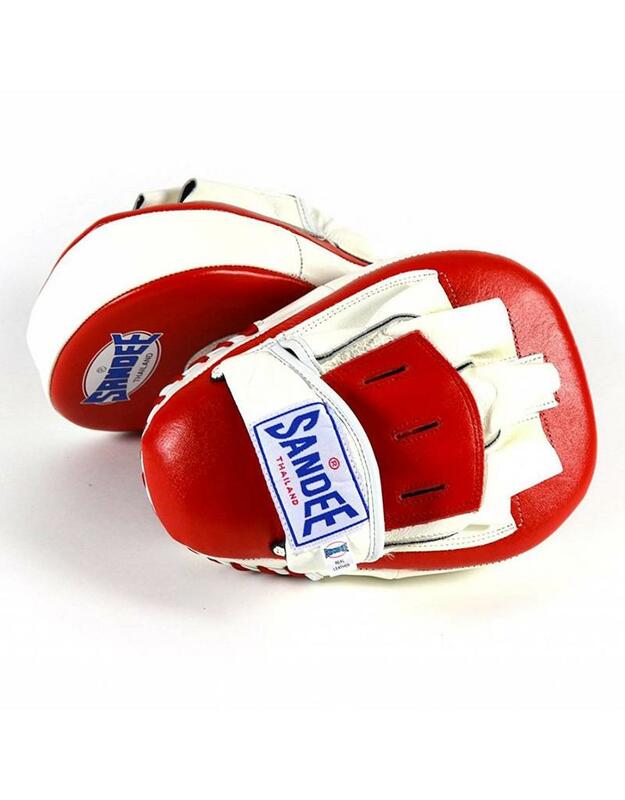 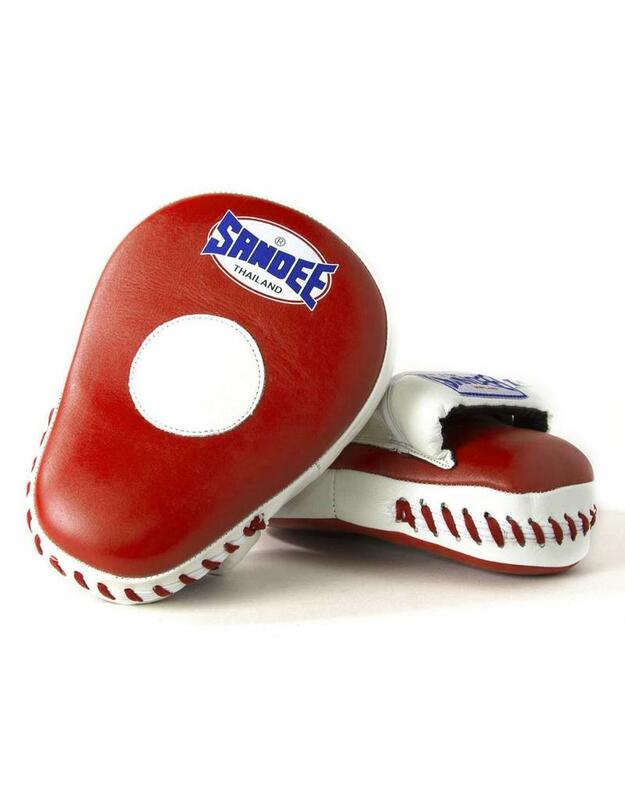 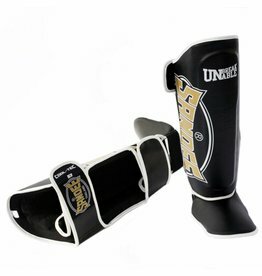 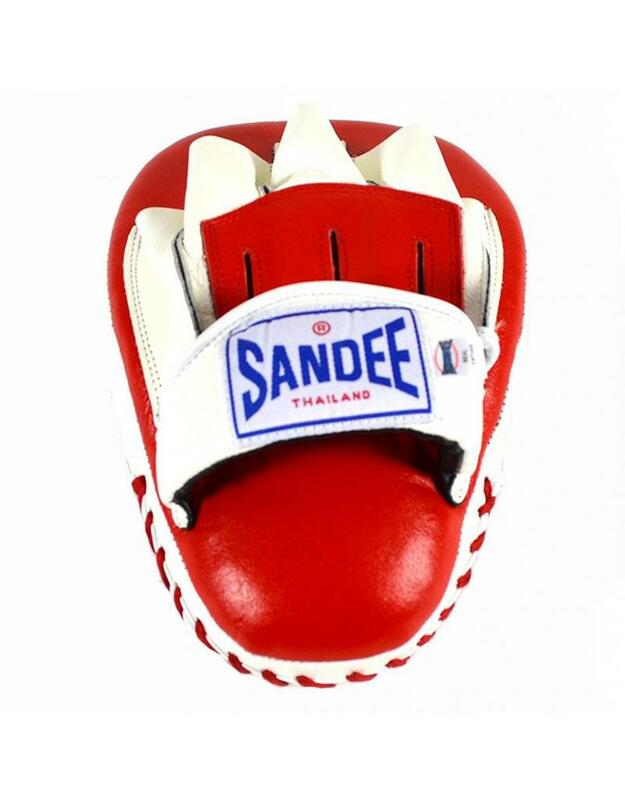 The ultimate Muay Thai Focus Mitt, these Sandee Focus Pads are a curved leather focus mitt, built to withstand the toughest punishment from training in Bangkok’s top gyms. 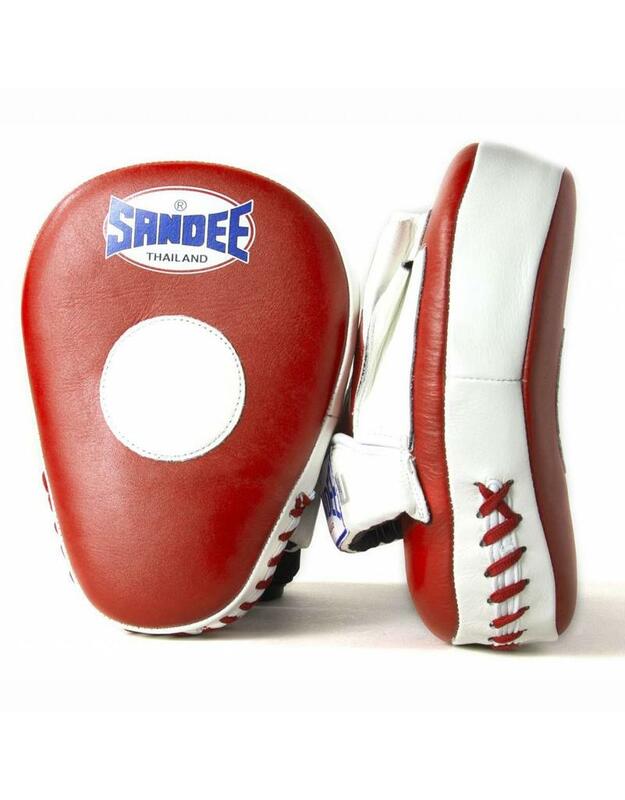 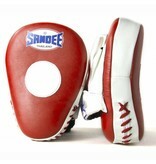 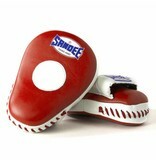 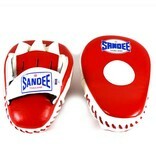 Boxer’s and Thai Boxer’s alike will love these Sandee Focus pads and preminium quality the deliver. 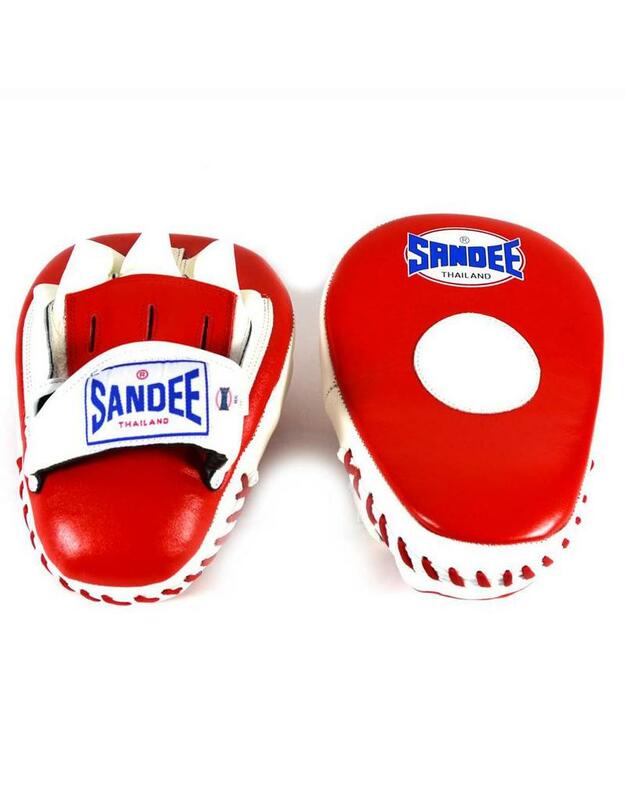 Hand crated in Thailand, the Sandee Focus Pads are made of double-stitched extra thick pre-curved premium grade genuine cow hide leather, the outer shell has an extra thick quadruple layer of contoured cloth-fibre webbing and high-density latex foam inner-core system. 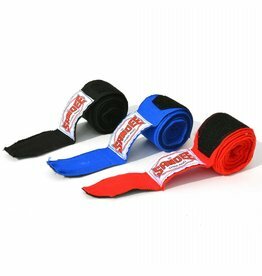 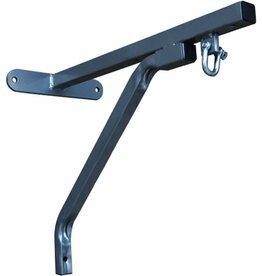 This gives you the ultimate in shock absorption and minimum stress and the holder hands and arms. 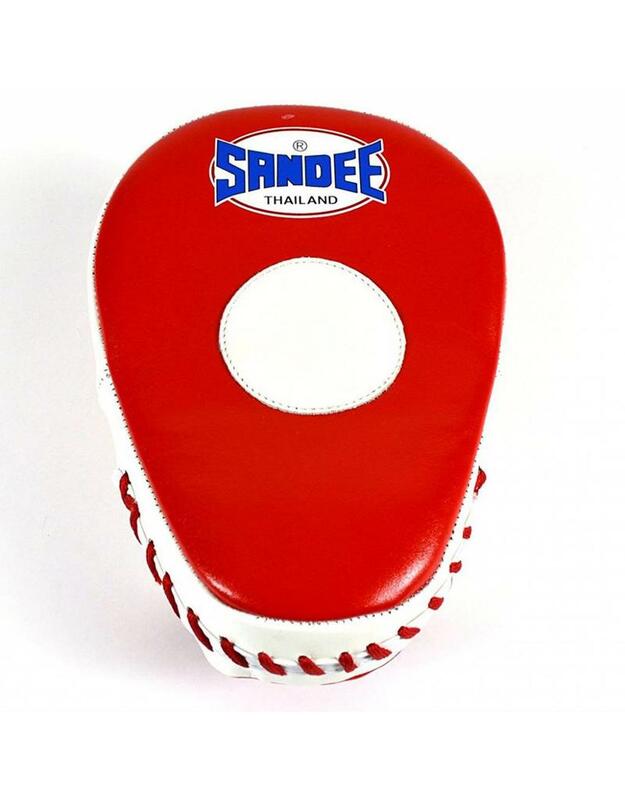 Design wise, they have full cover piping and a focus spot to help accuracy when training. 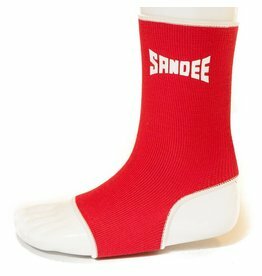 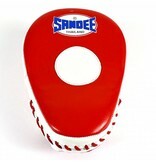 These Sandee Focus Pads come in Red and White. 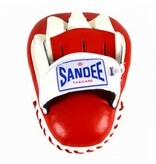 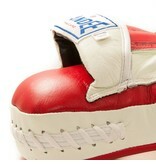 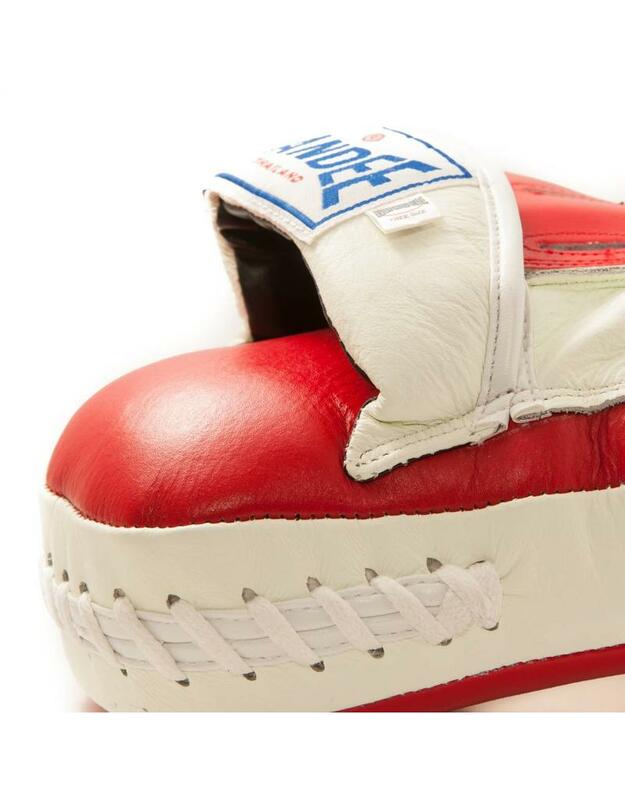 The hand compartment is contoured with half-ball shape, which fits naturally to the trainer’s hand. 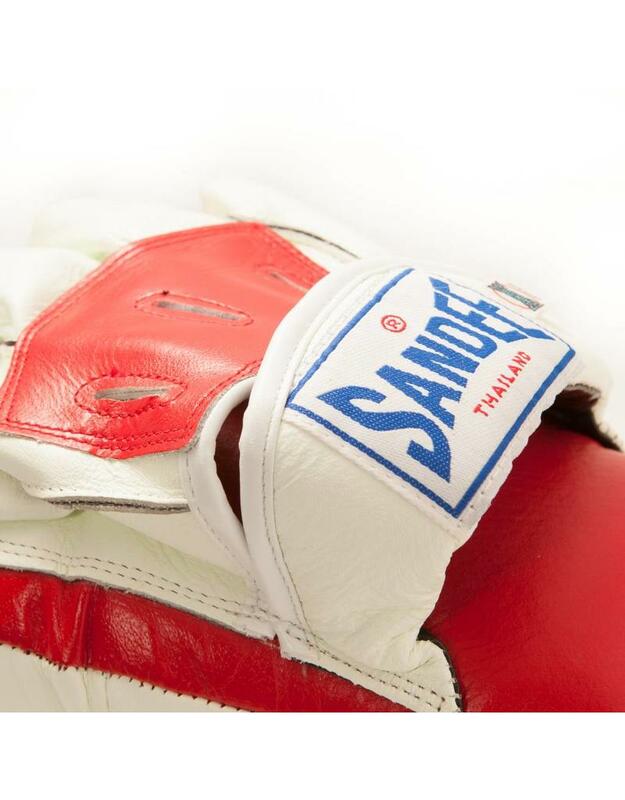 This minimizes hand fatigue so the trainer can train for longer. 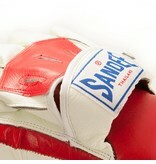 There’s also extra padding on the wrist support for comfort and safety as well a splits for hand ventilation. 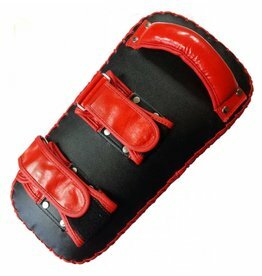 The hand compartment has open finger design, which also helps for ventilation but also helps getting the pads on and off easily.